During the last four weeks, I’ve had the pleasure of working with two extraordinary individuals: Claire Northrop and Andrew Salvador. On a path to fulfill their high school internship requirement, these High Tech High students joined the Education Department at Birch Aquarium at Scripps. As part of their internship, both students had to complete a project that would be of interest to them and also beneficial to Birch Aquarium. Claire helped write a lesson plan and develop teaching tools for our new program, Think Tank. Andrew’s wrote blog posts about happenings around the aquarium and created a template for future interns to follow. High School intern Claire Northrop works with young visitors to Birch Aquarium at Scripps.High School intern Claire Northrop works with young visitors to Birch Aquarium at Scripps. When Claire and Andrew were not working on their projects, they helped aquarium instructors in classes for visiting school children. They spent hours explaining ocean concepts and animal adaptations to hundreds of young students. They both said they felt a sense of accomplishment and a greater respect for their teachers. 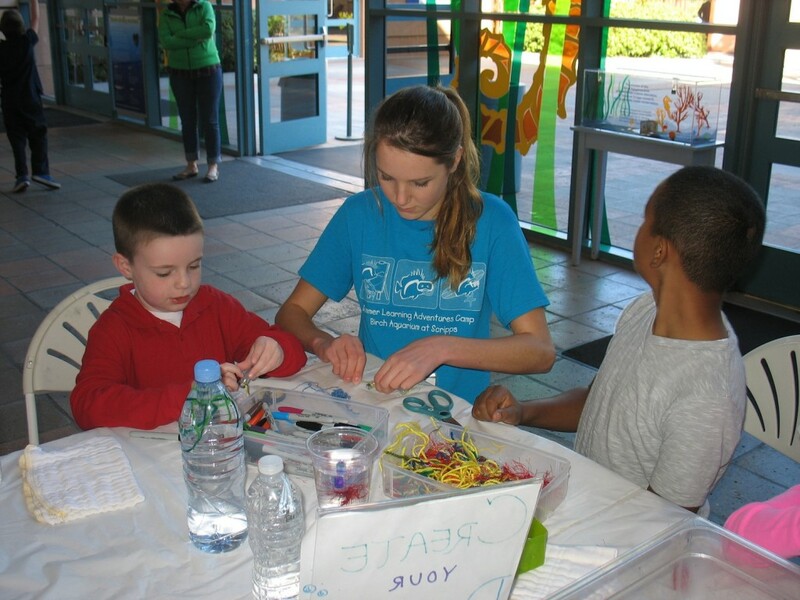 Claire and Andrew truly became part of the Education Team during their month at Birch Aquarium. The instructors grew to rely on their eager spirits and boundless energy in and out of the classroom. High School intern Andrew Salvador delivers his final intern presentation. On their last day, Claire and Andrew delivered presentations about their intern experience. Aquarium staff joined High Tech High teachers and staff to hear their summaries. I felt full of pride and awe as they articulated the benefits this internship brought to them. Andrew spoke of the joy he felt when students were able to repeat concepts he taught them. Claire’s ease and grace as she explained the science behind the famous physics experiment, The Cartesian Diver, dropped all of our jaws. Throughout their internship, Claire and Andrew reminded us of the significant impact we can have on high school interns and how, in turn, they impact our visitors and staff. We wish them oceans of luck on their bright futures ahead! 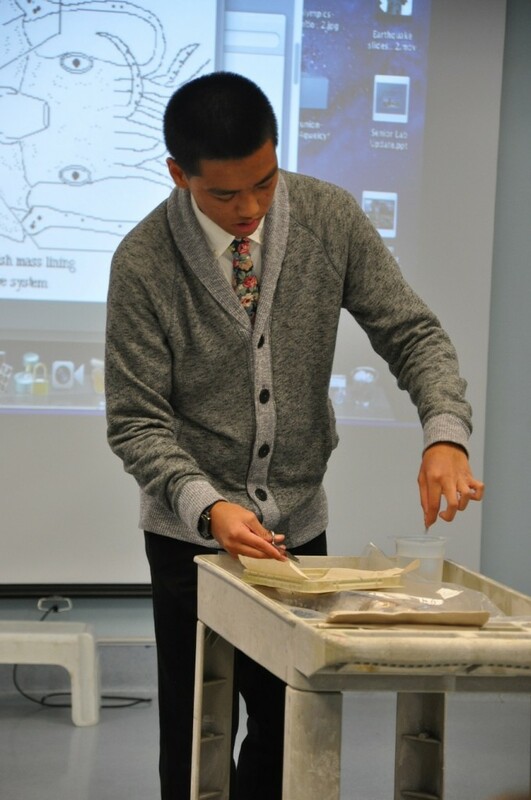 Learn more about Birch Aquarium internship programs. Birch Aquarium at Scripps is the largest provider of K-12 ocean science education in San Diego County, educating more than 40,000 local school children every year. All programs are aligned with state and national science standards. Learn more about Birch Aquarium’s School Programs. The Aquarium receives no direct state or city support and relies on earned income and gifts to operate our exhibit and education programs. Join our efforts to educate the next generation about the ocean.